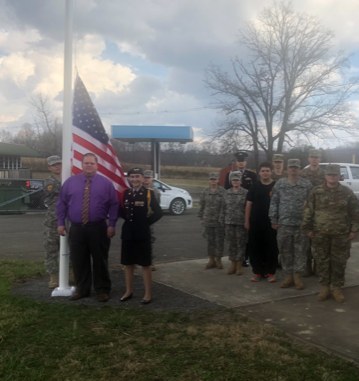 A new flag is flying proudly at the Lynn Camp activity house of the Knox County JROTC program. 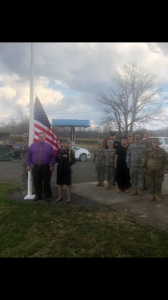 The donation was made by Wal-Mart Distribution Center 6097. 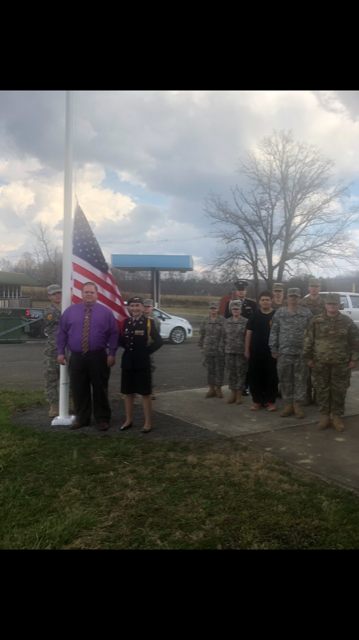 Board member Jimmy Hendrickson, employee at the center, presented the flag to the instructors and cadets. Community Grants range from a minimum of $250 to the maximum grant of $5,000. For more information about applying for a grant see the document attached below.